Volunteers young and old are being called upon to give something back to the community and help make the upcoming Southport Festival a huge success. A Southport Rugby Festival planned for the week before is also in need of helping hands. 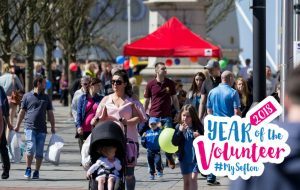 Opportunities are available for would-be volunteers to help and engage with both community groups and festival organisers to help out in Southport for the official Southport Festival between May 11 & 13. A spokesperson for Southport Festival said: “We are on the lookout for friendly faced, happy meeters and greeters for the festival. “Ideally our volunteers will be people with a fantastic knowledge of the Southport area so they can relaibly inform visitors of what’s happening and the best places to go if they come into The Atkinson and the surrounding area. Community organisations taking part in the Southport Rugby Festival on the weekend prior to the Southport Festival are also welcoming volunteers with open arms. During the festival, Southpoort Rugby Club, which has been a staple part of Southport since 1872, put on a fantastic community display in the build-up to the Southport Festival and are appealing for volunteers to help out. A spokesperson for the club, based on Waterloo Road, said: “Volunteers are required for the Southport Rugby Festival on May 5, 6 and 7. “We have loads of jobs on offer for all but please try and give as much time as you can for your club! “This is regarded as one of the countries’ top festivals but only gets that reputation because of the hard work of all of us.